Shares of Axis Bank hit a 52-week high in the morning trade on Wednesday. The stock gained after the management said it is focusing on delivering 18% return-on-equity (RoE) over 3 years. The brokerages have revised their price targets on the bank post the management announcement, as per media reports. However, the stock has pared its initial gain and trading slightly lower on both the indices. The global brokerage firm, CLSA has maintained a ‘buy’ call at a price target of Rs840 per share, the media report added. Further, the brokerage has predicted a recovery on the bank's earnings FY20 onwards. Also, brokerage firm Nomura has maintained a ‘buy’ call with target raised to Rs900/share from Rs850/share earlier. The firm believes that the corporate bank is transforming into a true compounder. 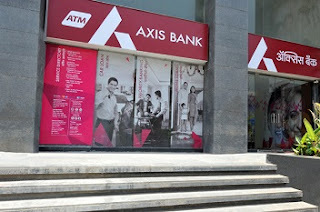 Axis Bank will enter predictable earnings compounding cycle with visibility of high RoEs, the media report stated. This will enable the bank to add more legs to the re-rating story over the next 2 years.